In the last year alone, there was a shortage of over 50,000 truck drivers. Americans may have felt the repercussions of this in the form of delayed deliveries and a spike in shipping prices or even product prices. Truckers are working as hard as they can to deliver goods, but some feel limited by recent federal regulations on driving hours. The American Trucking Association (ATA) predicted that the driver shortage will reach 175,000 by 2026 if the trend remains the same. All of this begs the question: what caused the shortage of truck drivers in the first place? First, it is important to point out that the driver shortage currently facing the U.S. applies only to long-haul, over-the-road tuckers. For the most part, private fleets and LTL carriers remain unaffected. The most commonly cited reason for the truck driver shortage is the often challenging lifestyle that drivers experience. It’s true, a life on the road means long hours alone, stretches away from home, and a struggle to keep healthy habits. Despite these unique qualities, there are absolutely ways to handle the challenges of a driver’s lifestyle, and a trucker can find great freedom, fulfillment, and steady pay in the career. Several decades ago, America was not experiencing a shortage of truck drivers. However as is the case with many of the trade professions, there’s been an increase in high school graduates pursuing college and subsequent degree-related careers instead of launching straight into a trade career. 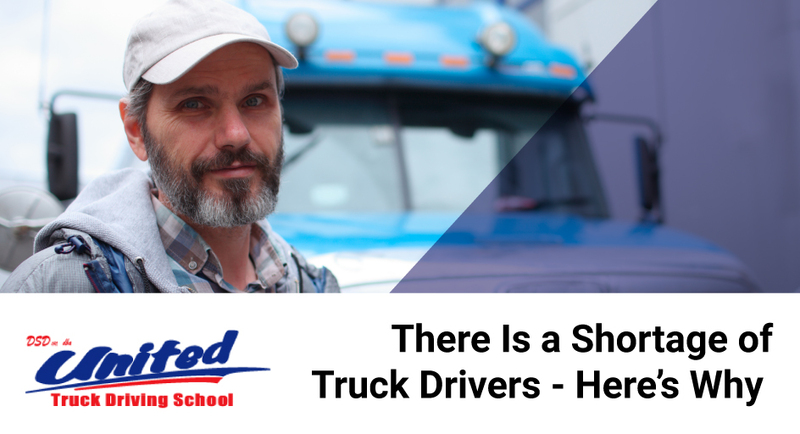 Even though high school graduates cannot go directly into a career in interstate truck driving (they must be 21 to do this), they can still earn a CDL at the age of 18 and drive within state lines. Speaking of age restrictions on interstate truck driving, there are also several demographic restrictions that may have contributed to the shortage of truck drivers. As previously mentioned, recent high school graduates are not able to enter immediately into a career in long-haul trucking. Some feel the transportation industry is missing out on a promising solution to the driver shortage, since individuals of the 18-20 age group also have some of the highest unemployment rates. However, this age group also has the highest motor accident rate, so many are cautious in calling for a lower age limit for OTR drivers. Women make up only around 6% of truck drivers – a significantly low number since women make up a large part of the national workforce. The image of the truck driver has been traditionally male, but there is nothing that says this can’t change. More women in the profession would certainly help to fill the deficit. Another demographic that could aid in resolving the driver shortage is veterans. Many veterans are looking for a fulfilling career to transition into, and many driving schools offer military scholarships or allow students to put the G.I. Bill towards their training. United Truck Driving School is proud to count ourselves among those who offer these incentives for our American veterans. Opinions vary on whether self-driving trucks could solve the driver shortage. Some drivers fear that the machines could take their jobs away, while others are confident that sharing the road with automated rigs could lighten the burden on human drivers. Whatever the case is, experts do not foresee common use of automated trucks for several decades to come. In the meantime, human drivers are still very much needed. The high demand for truck drivers means many carriers are increasing pay and offering attractive sign-on bonuses. Working as a professional driver still has its challenges, but there are ways to handle them and enjoy your career. Our seasoned instructors are full of knowledge and tips for life as a trucker, and when you train with us you’re training with the best.